Teaching, research and service are the triad of productivity that are generally evaluated when a professor is seeking promotion and tenure. 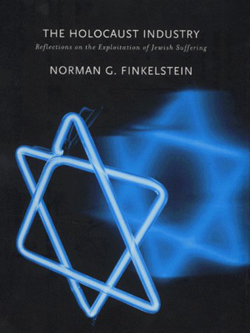 Previous posts have discussed DePaul University’s College of Liberal Arts and Sciences’ Dean Chuck Sucharâ€™s assessment of Norman Finkelsteinâ€™s teaching and research rhetoric. Let us examine how his service has been assessed. Service may mean how many committees and sub-committees a probationary colleague has served on. Many run for committees but are simply not elected. It may refer to how many ad hoc assignments one was willing to endure during â€œpledge weekâ€â€”six years of going along to get along prior to the tenure decision. DePaul Universityâ€™s College of Arts and Sciencesâ€™ College Personnel Committee recommended unanimously, (5-0) that Professor Finkelstein receive tenure. They evaluated his service as â€œmixedâ€ according to the March 22, 2007 memorandum of Dean Suchar. Some felt that Dr Finkelsteinâ€™s public intellectual role and national prominence in addressing issues of the Middle East and American Jewry, more than satisfied the requirements of service. Others, according to Dean Suchar who had access to their report, felt there was a lack of service on university committees. The dean, who clearly displayed animus against Dr Finkelstein when he excoriated him as an â€œideologue and polemicist,â€ finds Dr Finkelsteinâ€™s service to the university to be â€œunimpressive.â€ Curiously dismissing the fact that Dr Finkelstein has served on department committees, the dean is critical of the professorâ€™s lack of committee work on the college or university level. It seems to me that fairness requires a sense of balance. We have a professor whose teaching is described as â€œexceptionalâ€ by the College Personnel Committee. We have a professor who has published several books with his most recent work for the University of California Press and is a leading national intellectual in his field. He has served on department committees. It seems to me that such productivity and stature should more than merit satisfying this amorphous area of service. Service to the university is frequently a red herring to measure oneâ€™s â€œloyaltyâ€ and â€œcommitmentâ€ to the university. While I am not privy to the documents that the professor submitted to the various committees, I believe the dean could have adopted a more reasoned assessment of his service. His service, as argued by some of his colleagues, was not â€œunimpressiveâ€ but impressive given his total profile and amazing energy and productivity in his service to his community and nation. I think that universities are best served when service requirements are enumerated in some detail in the by-laws or faculty handbook. The more specificity, the less likely that arbitrary and capricious judgments will be rendered. I reiterate an earlier disclaimer. I have had no contact directly or indirectly with any of the principals involved in this matter.